Western Electric manufactured a wide range of obscure and undocumented integrated circuits, many of which featured nondescript packages and a total lack of package-marked part numbers. Like HP, Western Electric IC packages give you nothing, except the vague statement that the device was made by Western Electric. 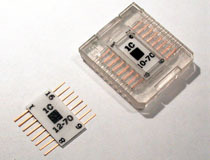 The packages of many Western Electric integrated circuits are so anonymous in appearance that they are frequently misidentified as resistor networks by electronics resellers. 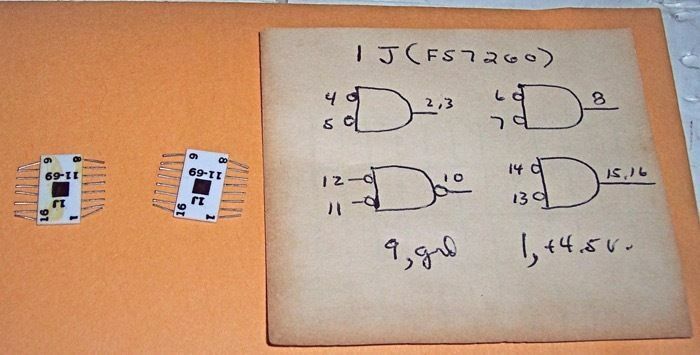 Western Electric 1C 16 pin flat packs, 1970 date code. Western Electric integrated circuits are difficult to identify, but we believe this chip is a parallel to serial data converter designed for use in teletype machines. Western Electric 1C 16 pin flat packs, 1971 date code. Note the unusual carrier. 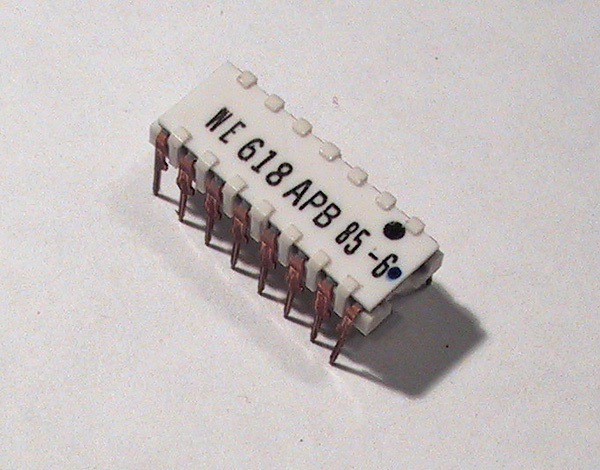 Western Electric 618 IC, 16 pin dual inline package, 1985 date code. 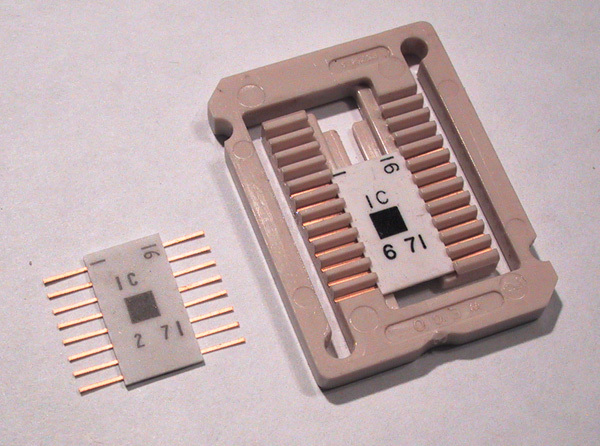 Even with a part number, we still have no idea what this chip does. Pinouts for a related device, the 1J.